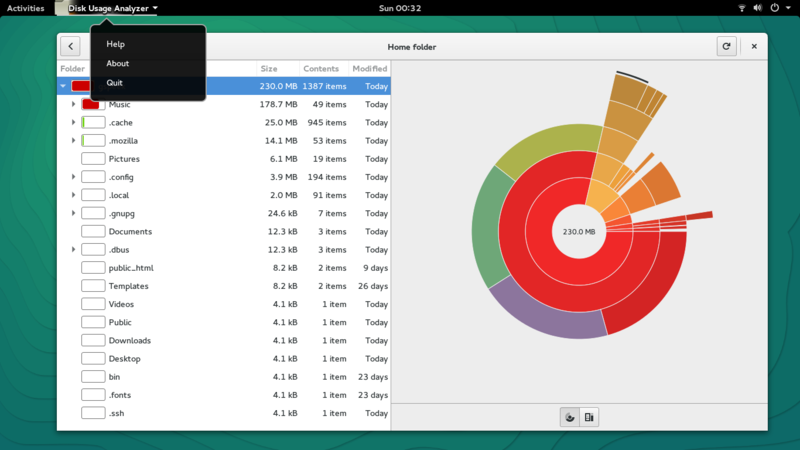 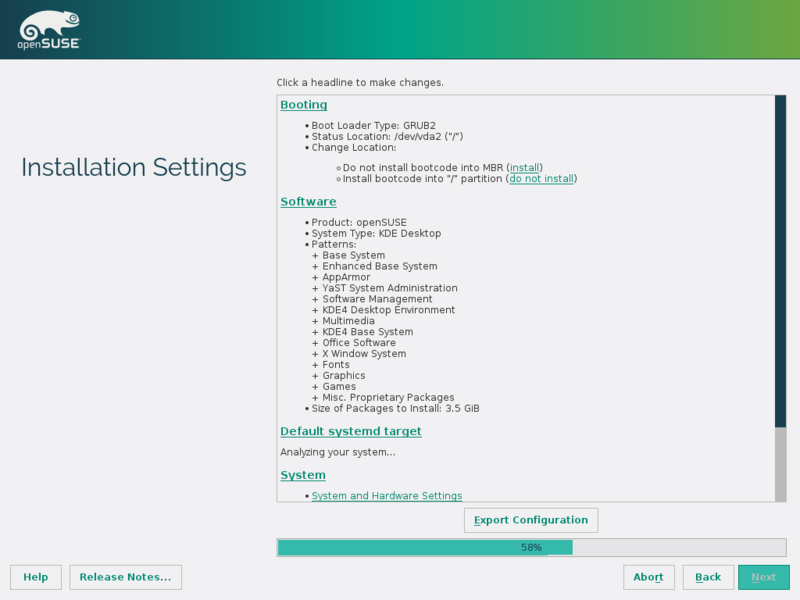 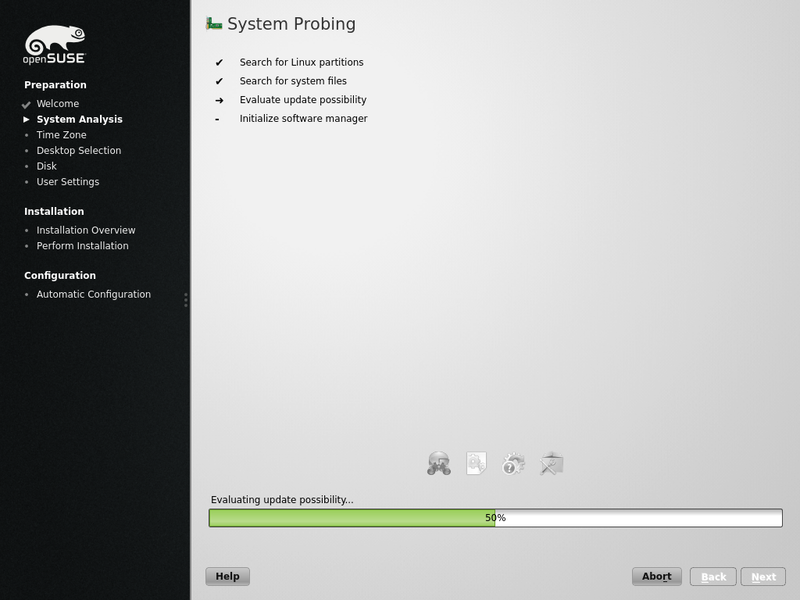 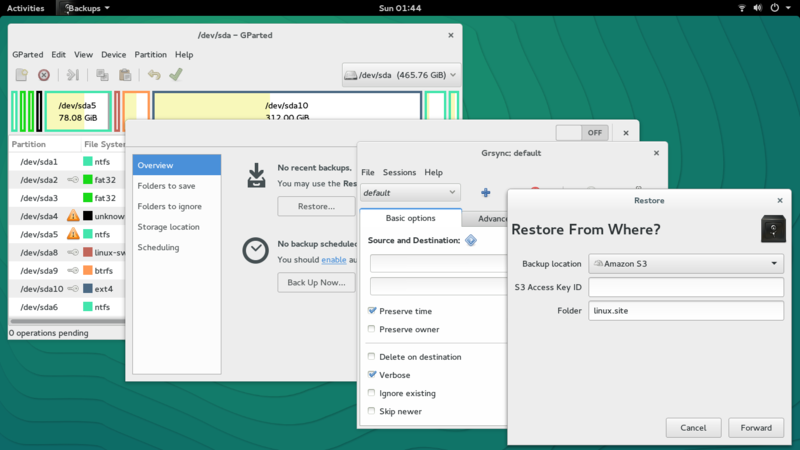 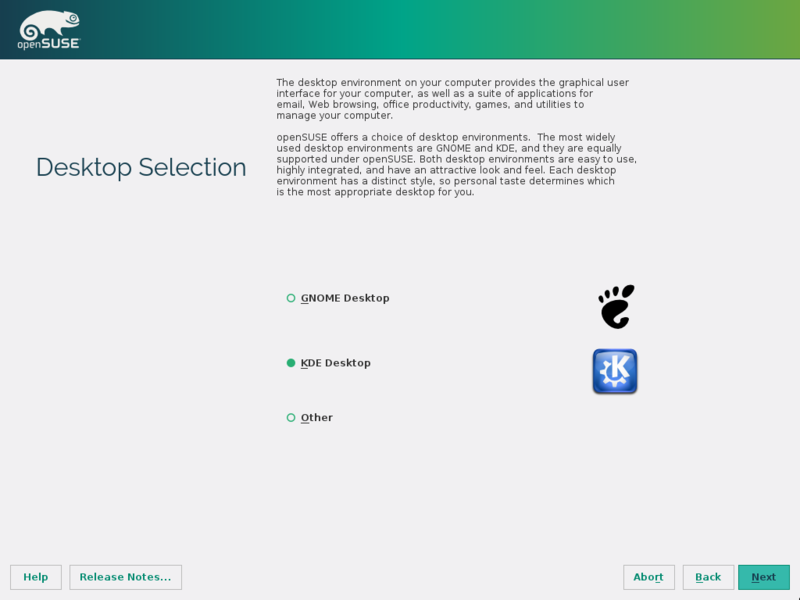 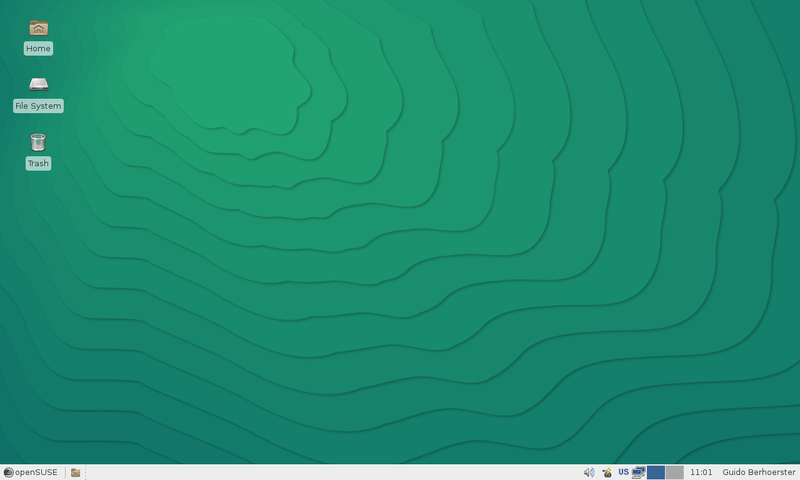 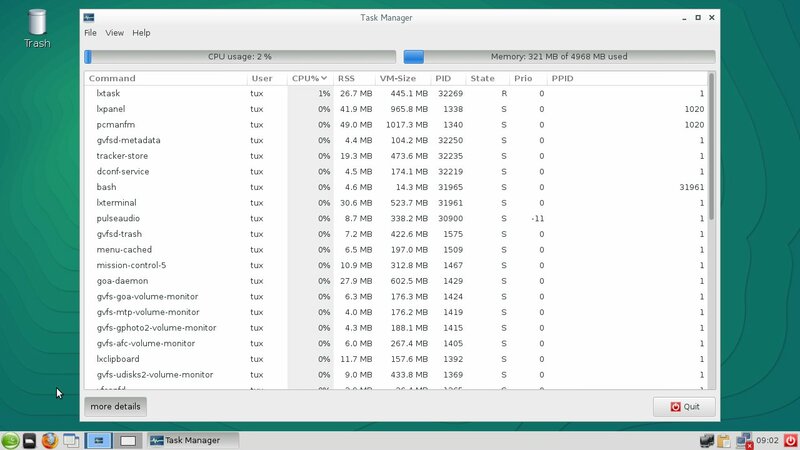 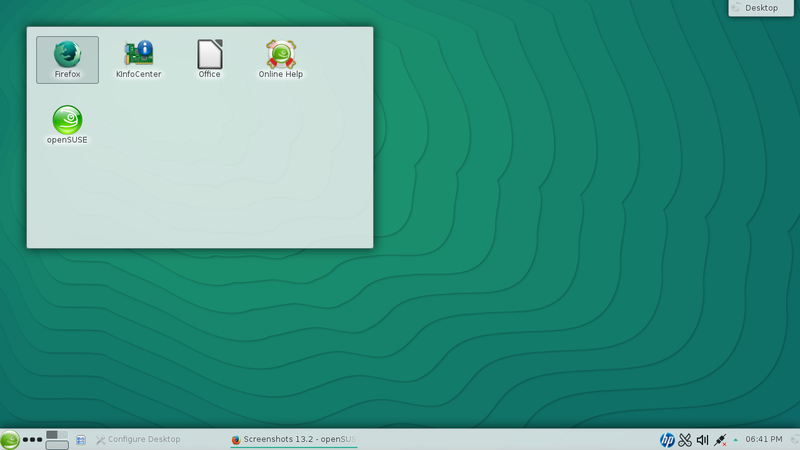 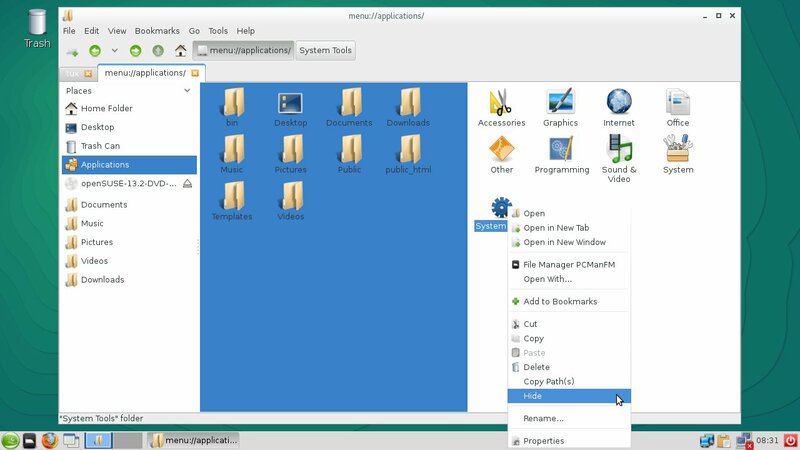 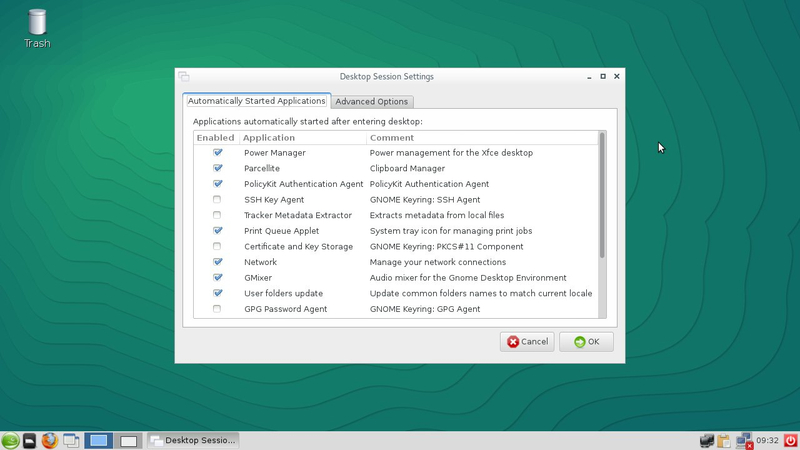 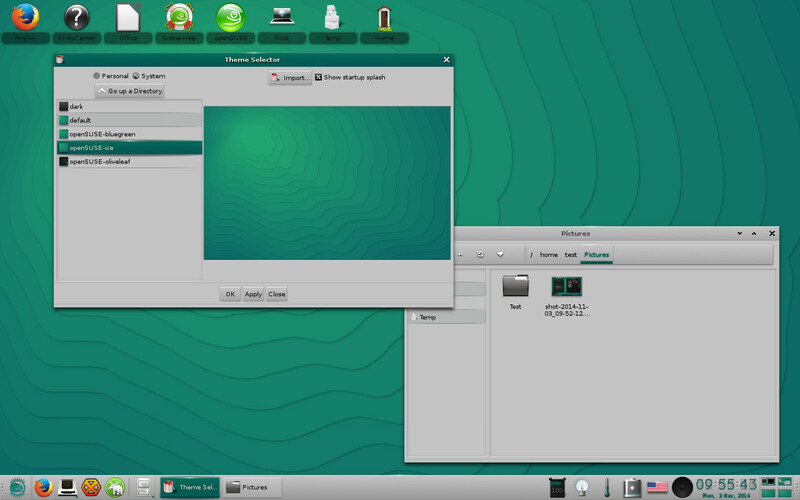 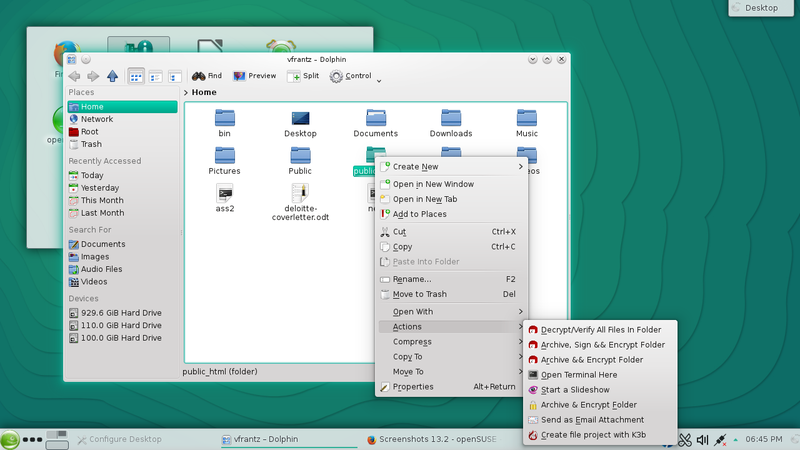 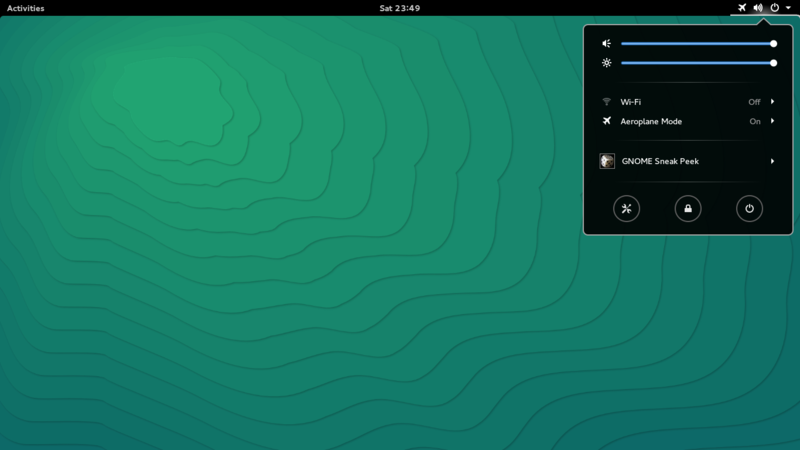 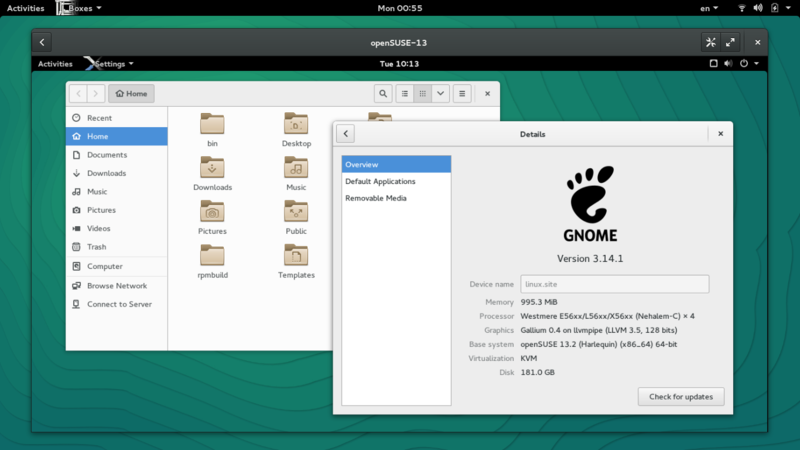 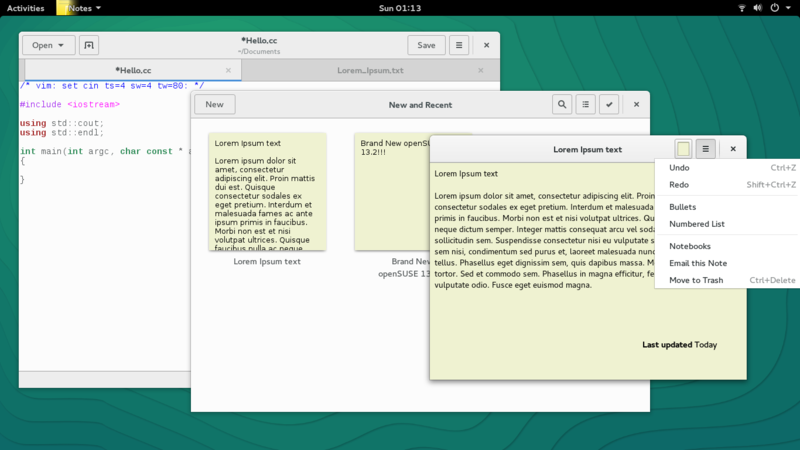 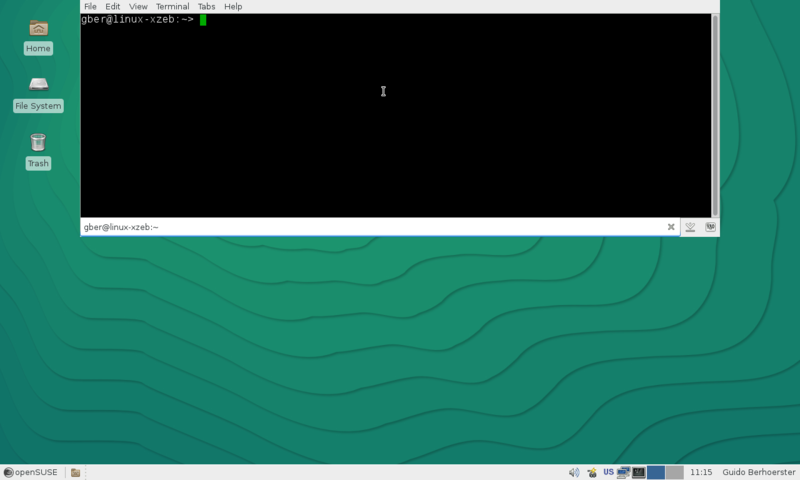 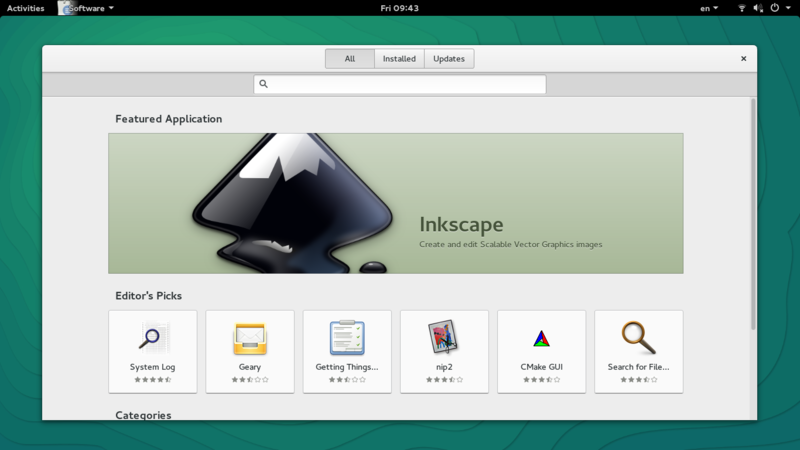 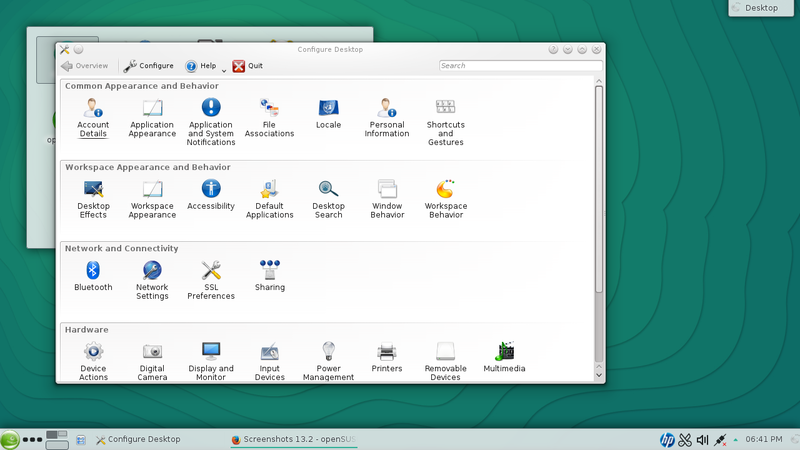 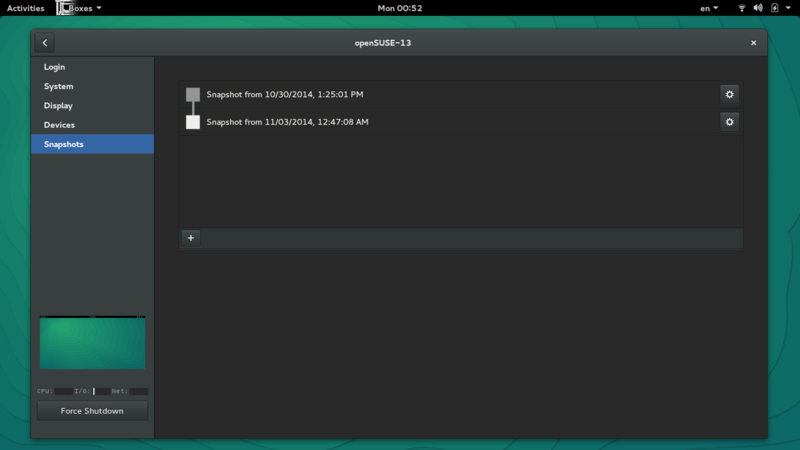 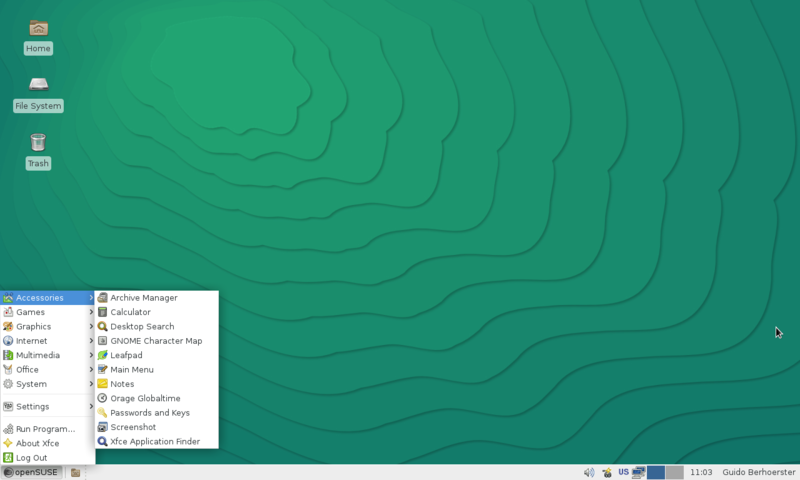 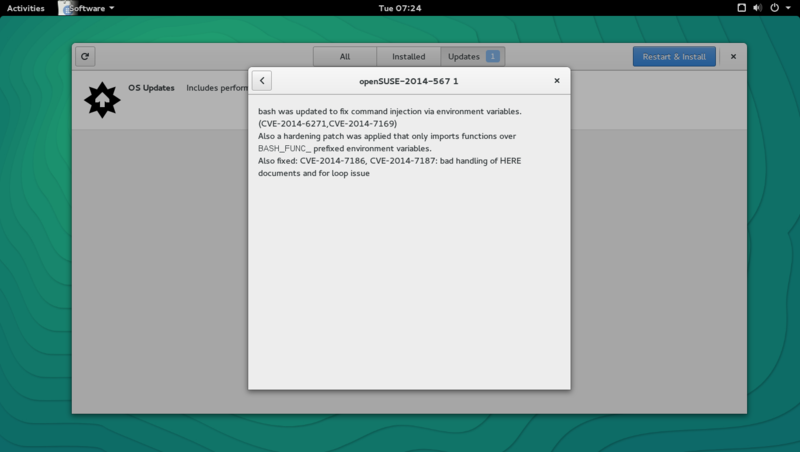 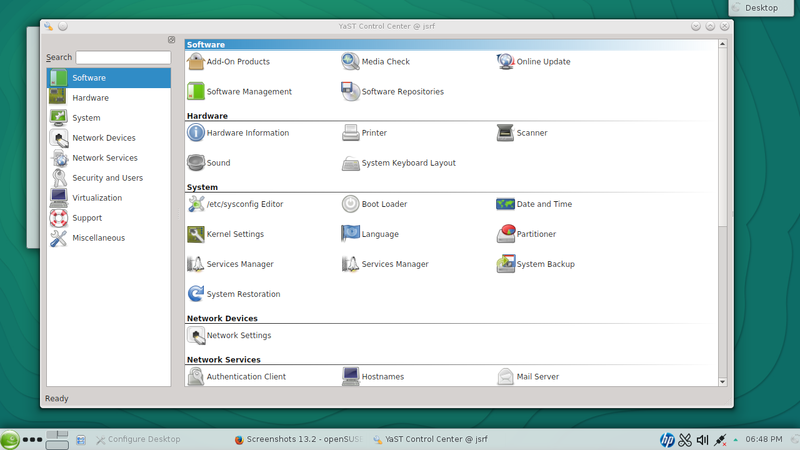 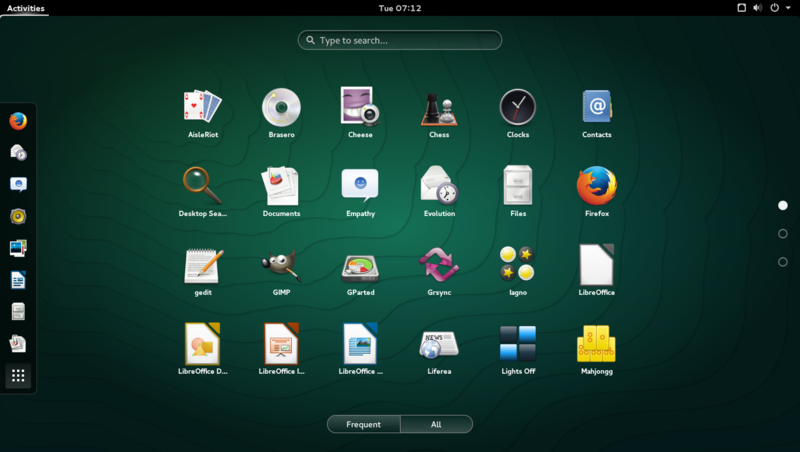 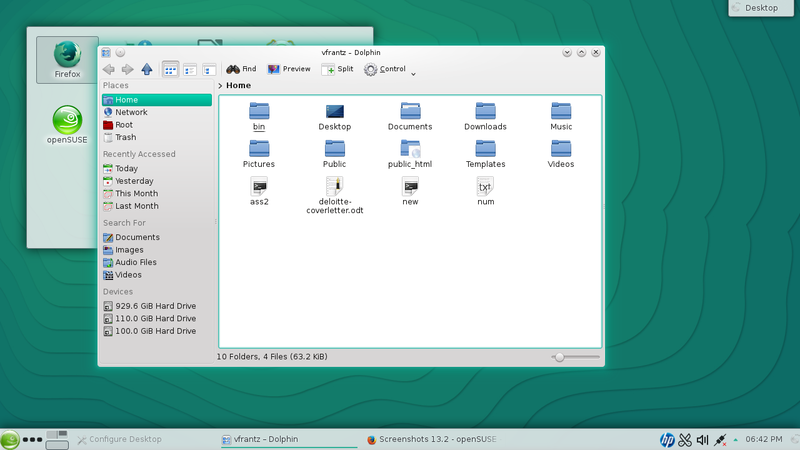 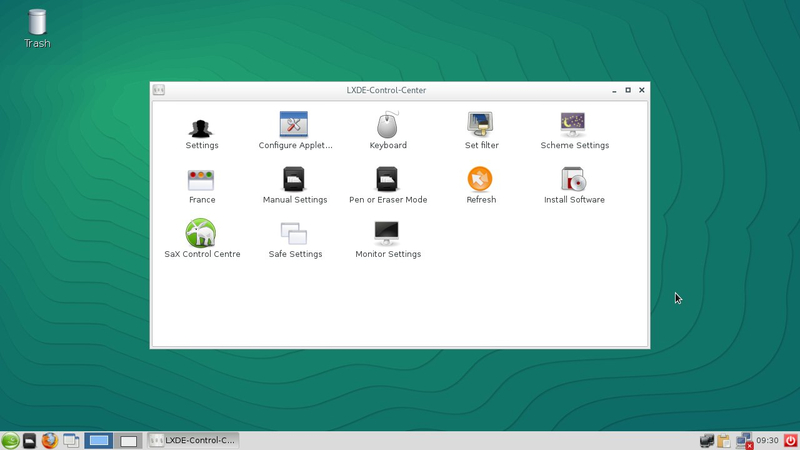 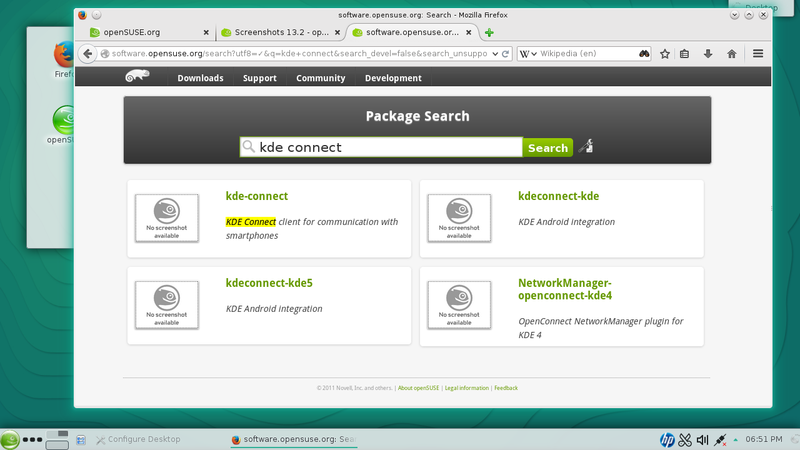 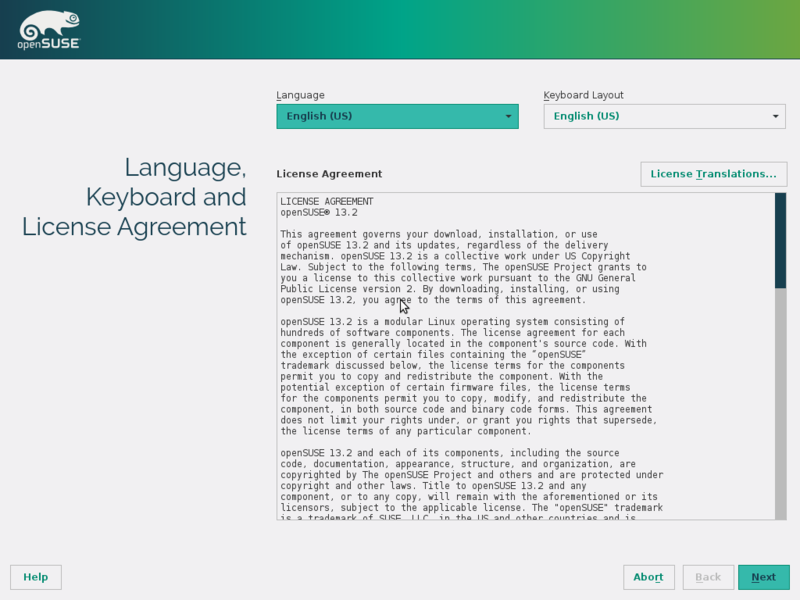 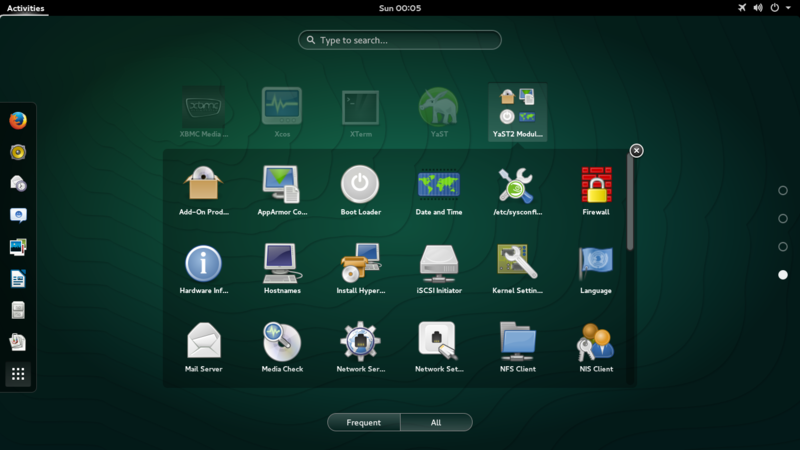 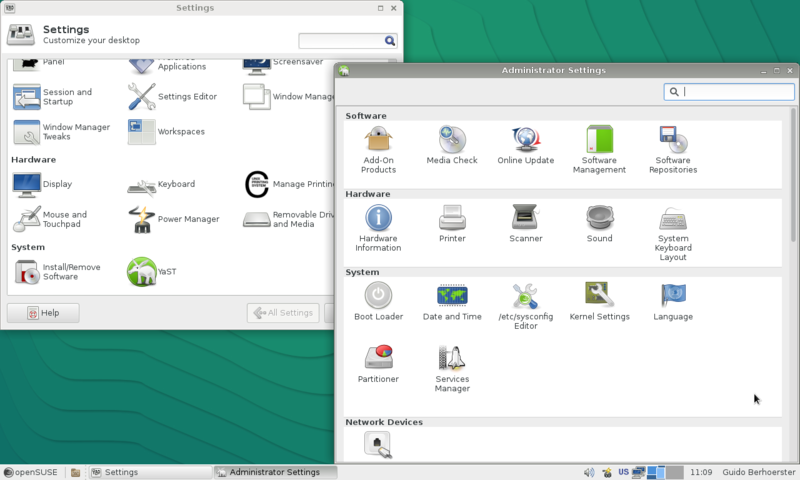 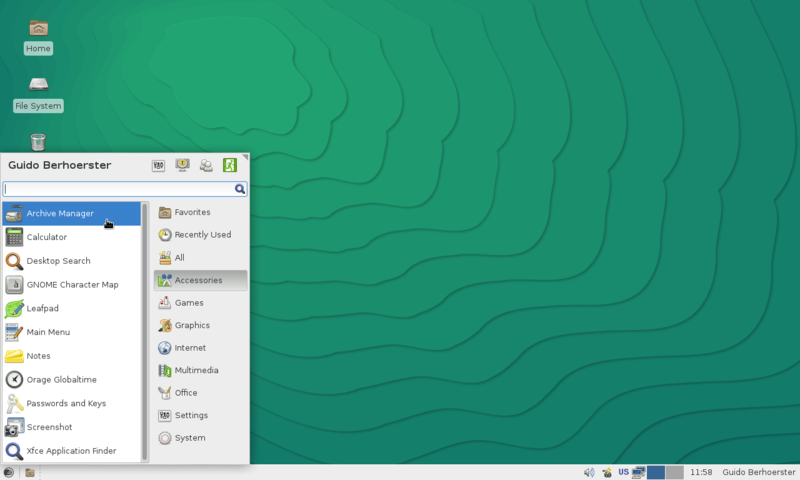 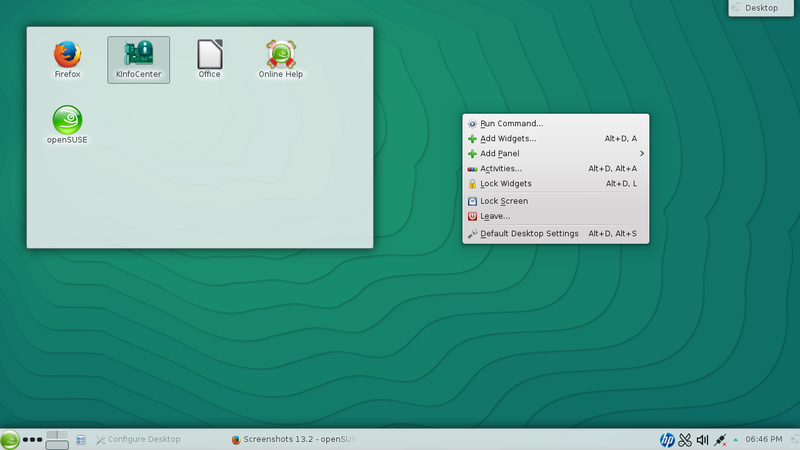 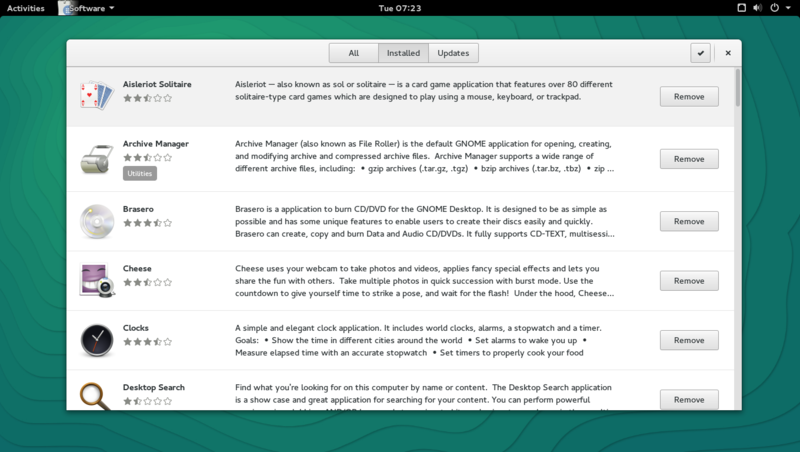 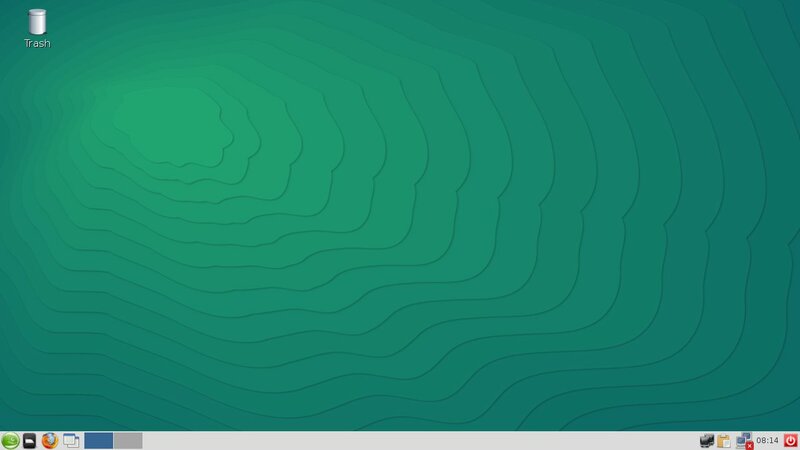 Screenshots of openSUSE 13.2 components. 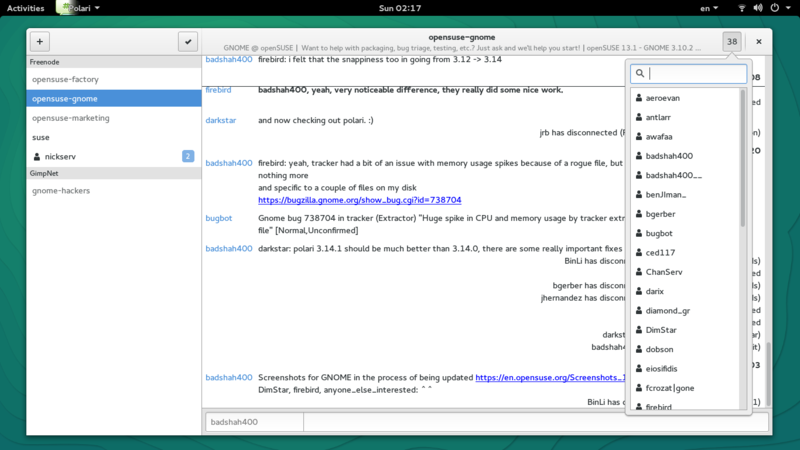 Unless explicitly stated all screenshots here must be public domain. 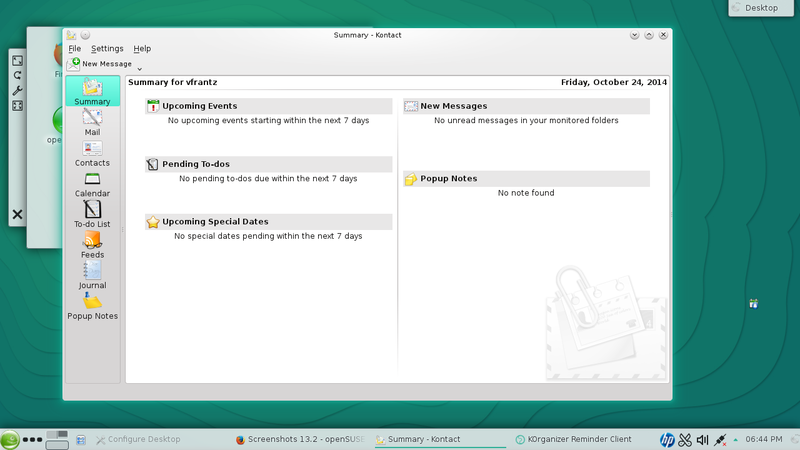 On the release day, this page will be transferred to Screenshots. 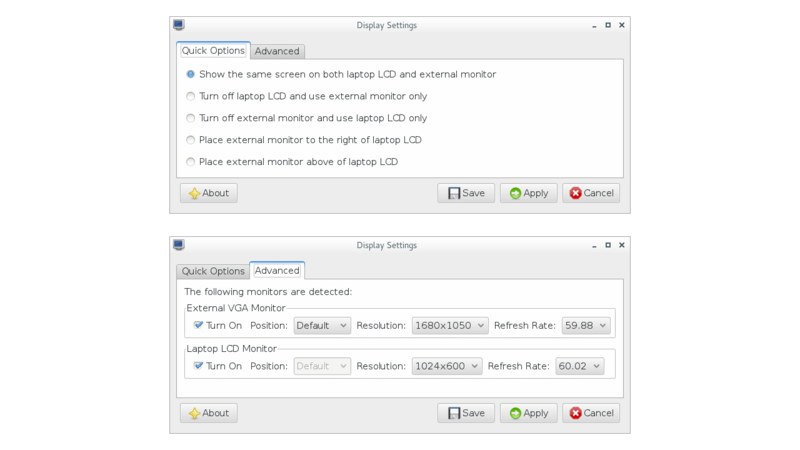 Small and wide screens are a good fit for magazine and website articles! 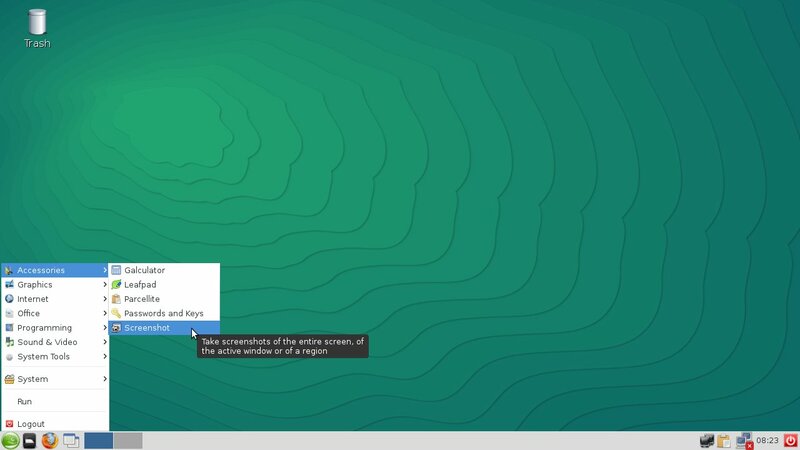 A high resolution screenshot looses details when scaled down as part of a publication. 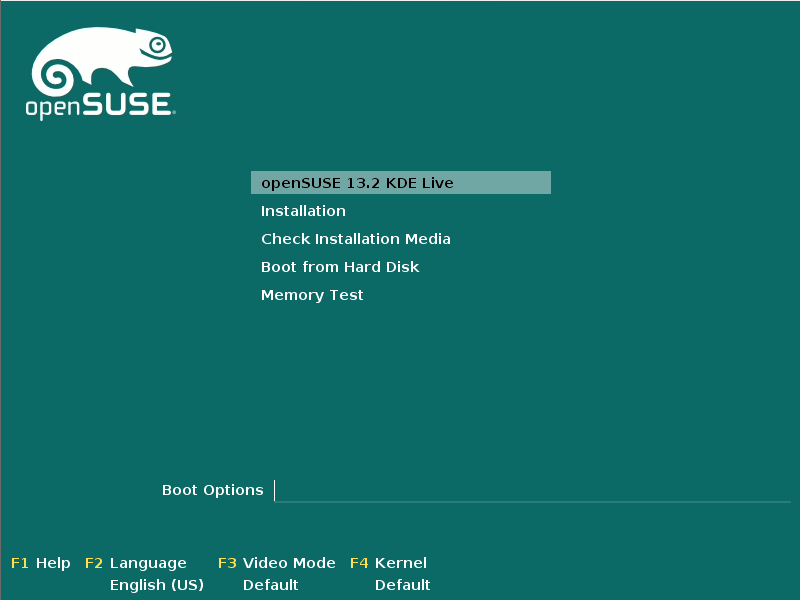 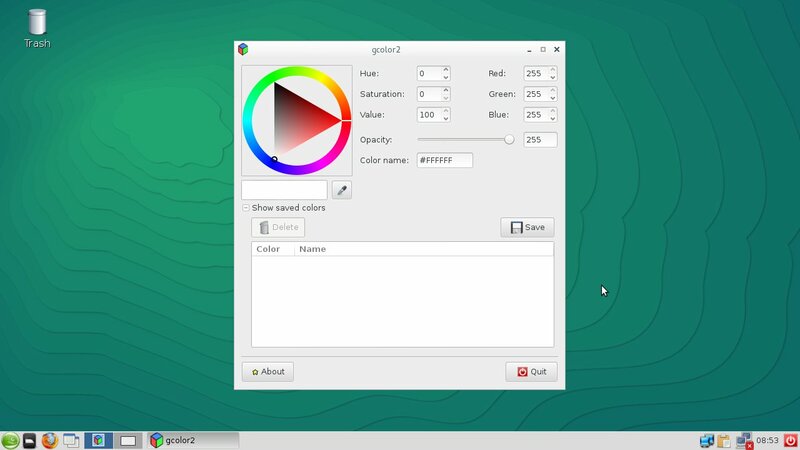 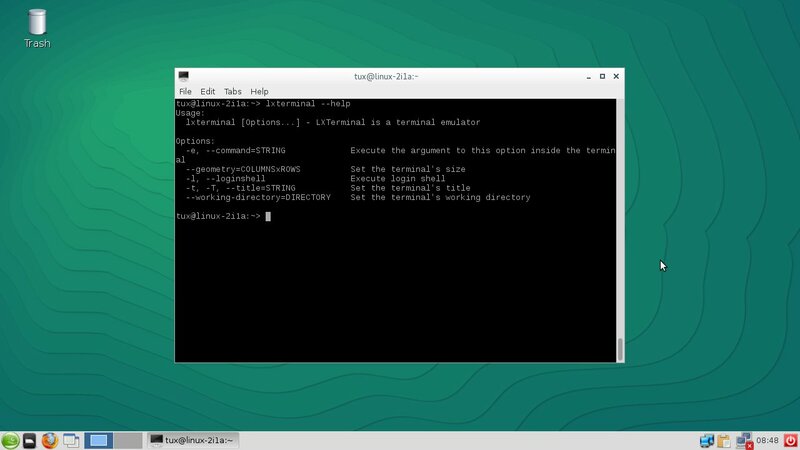 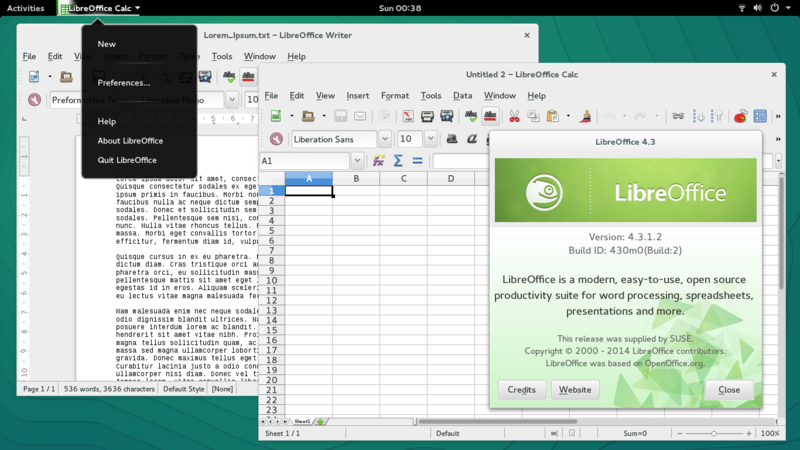 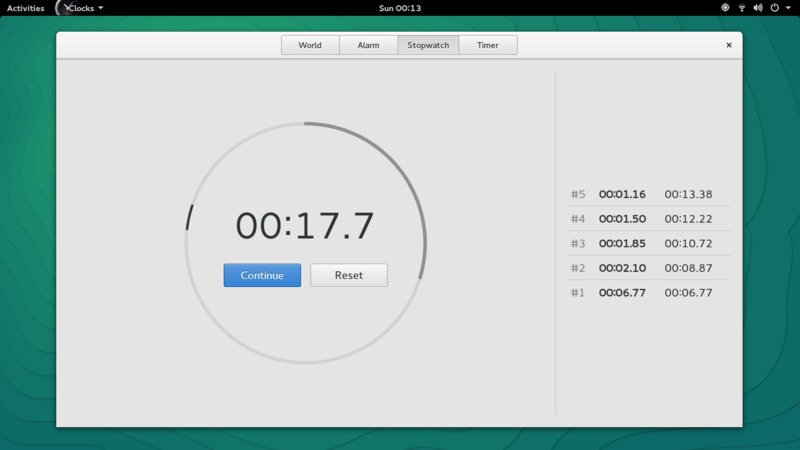 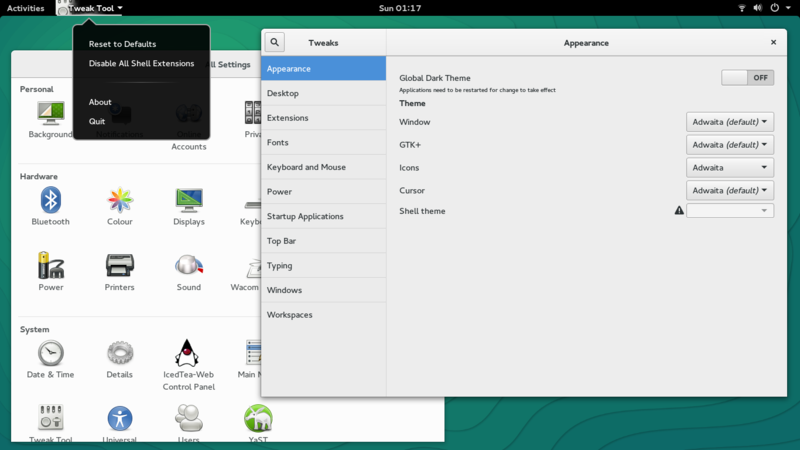 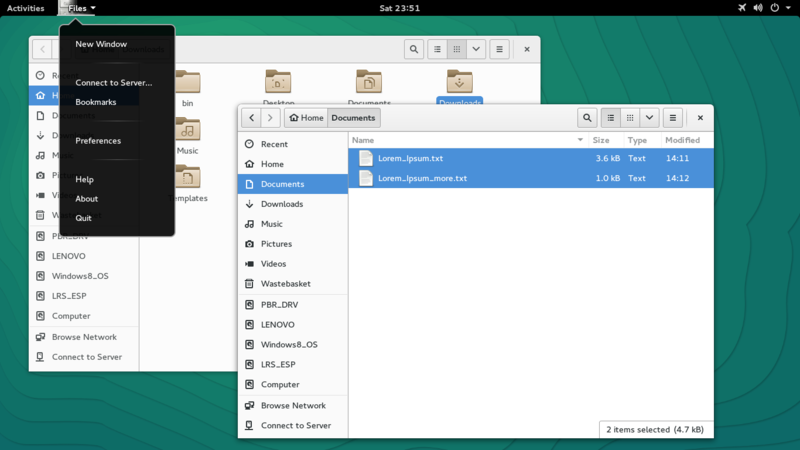 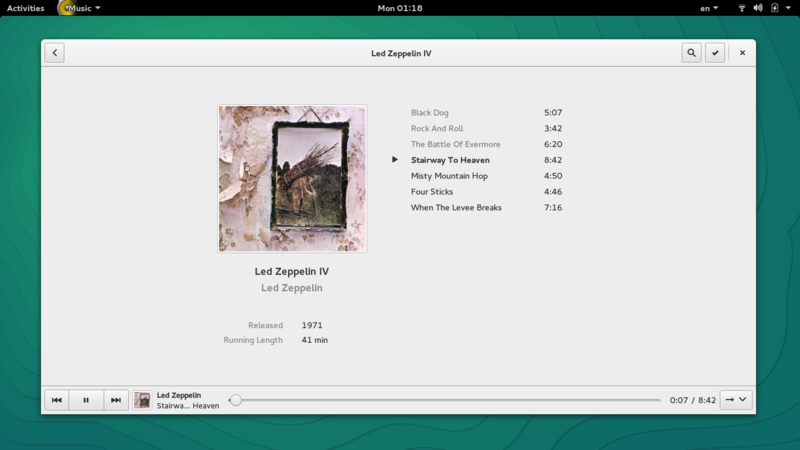 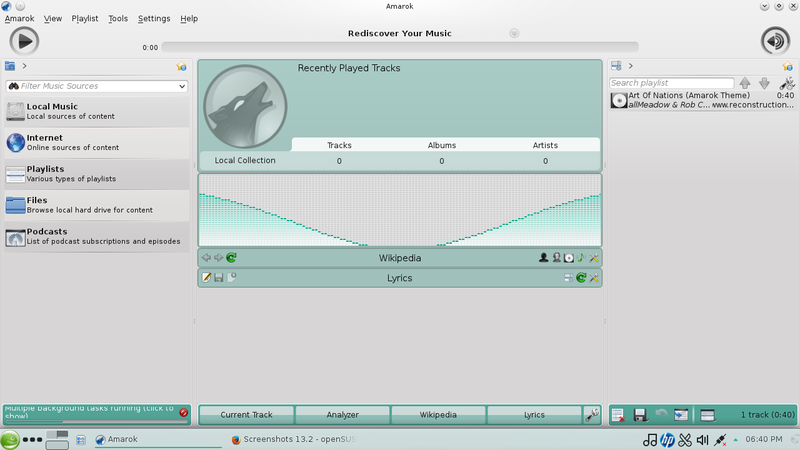 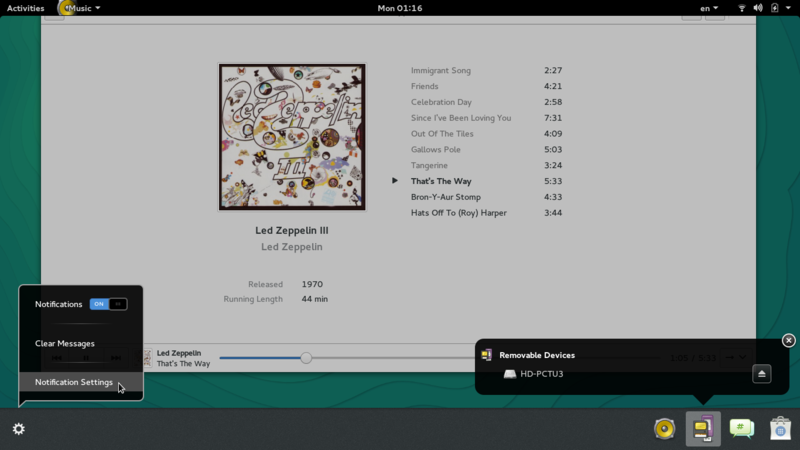 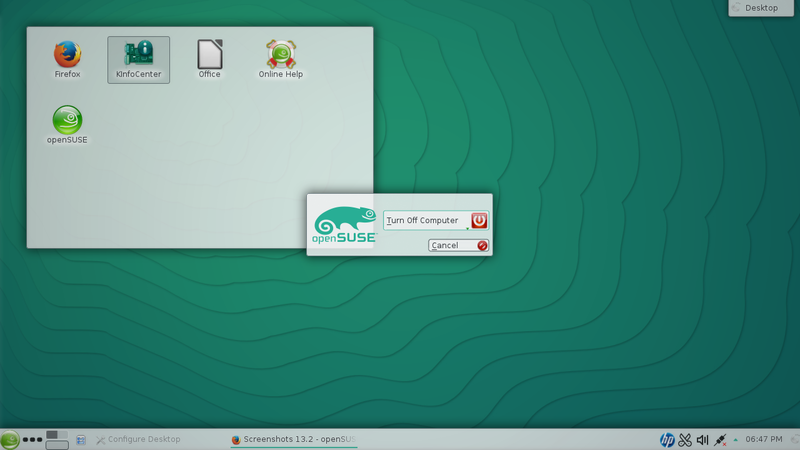 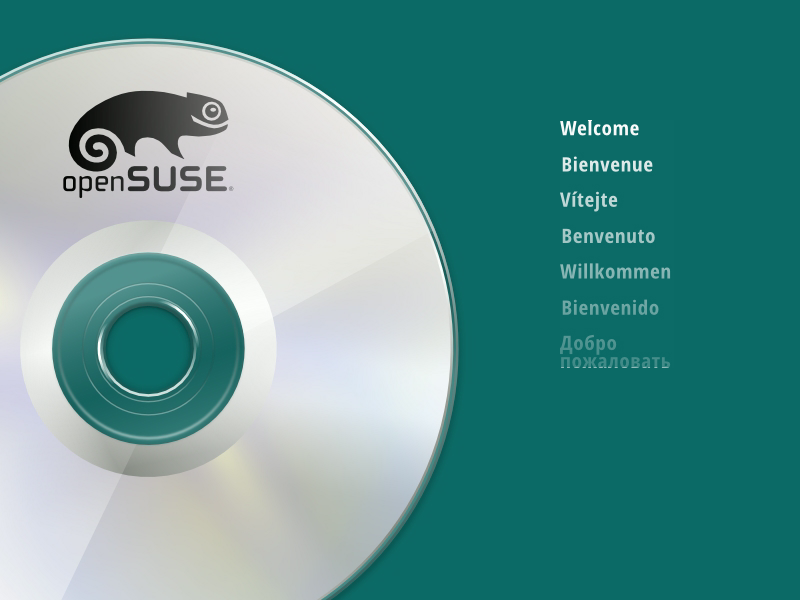 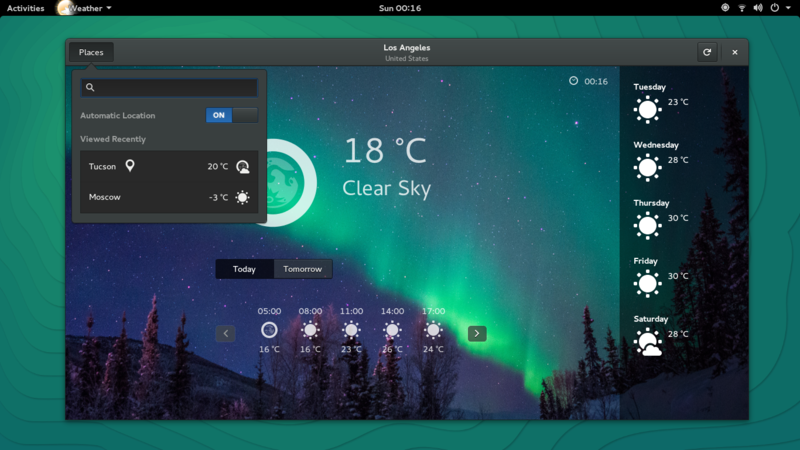 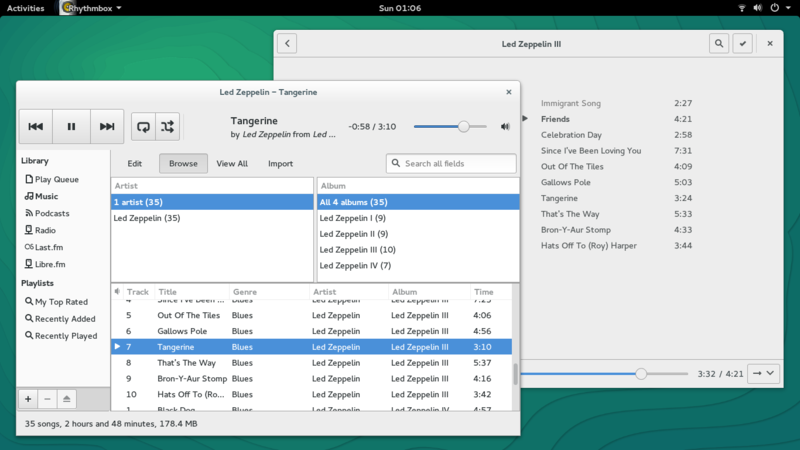 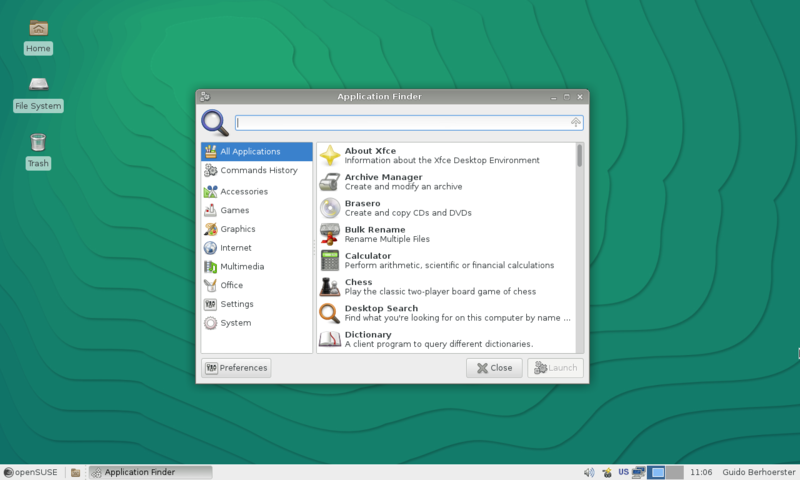 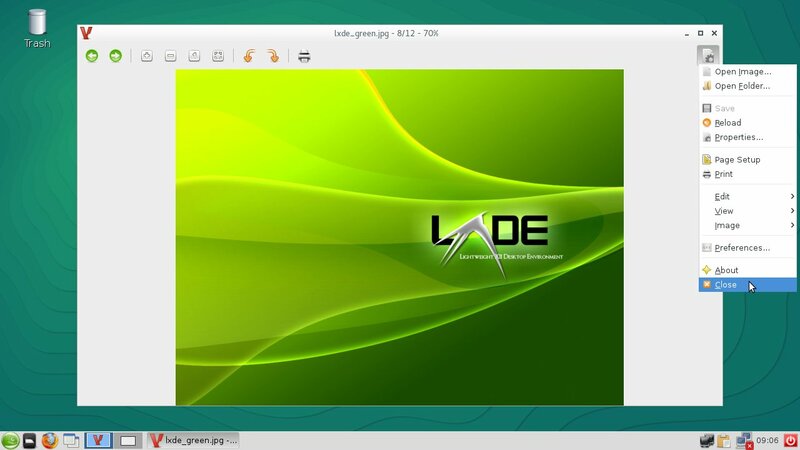 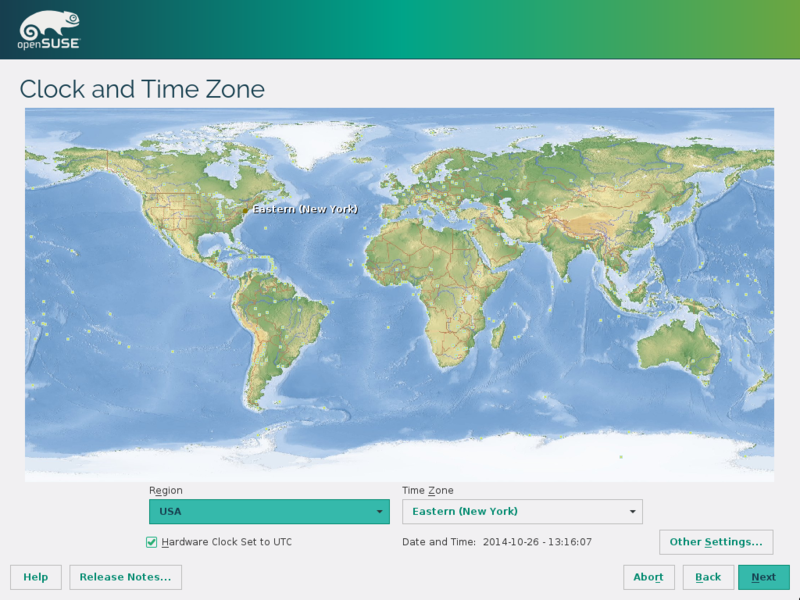 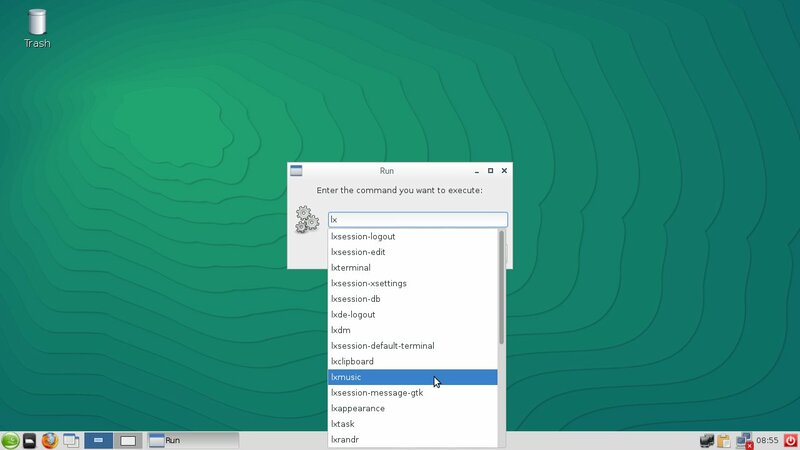 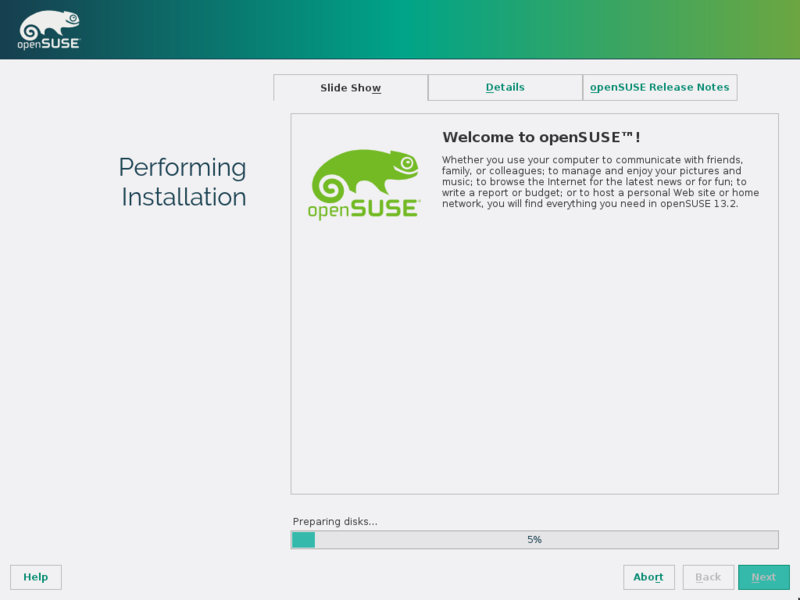 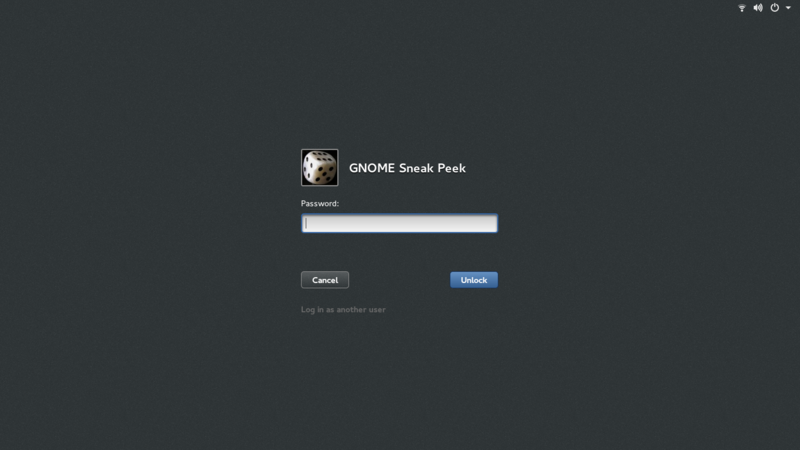 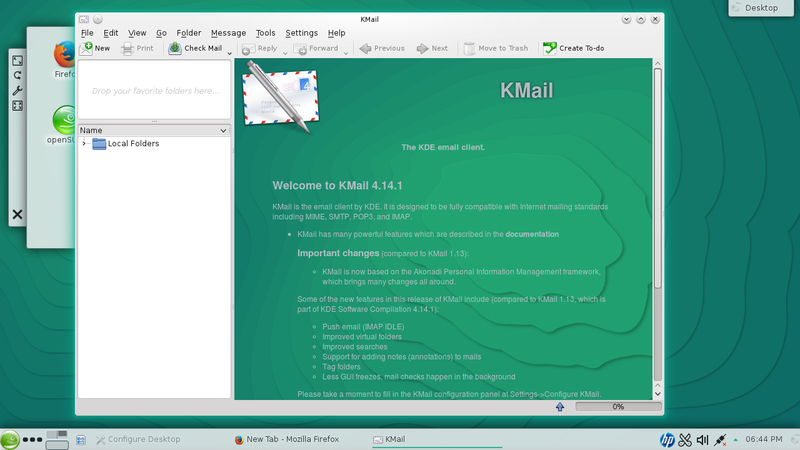 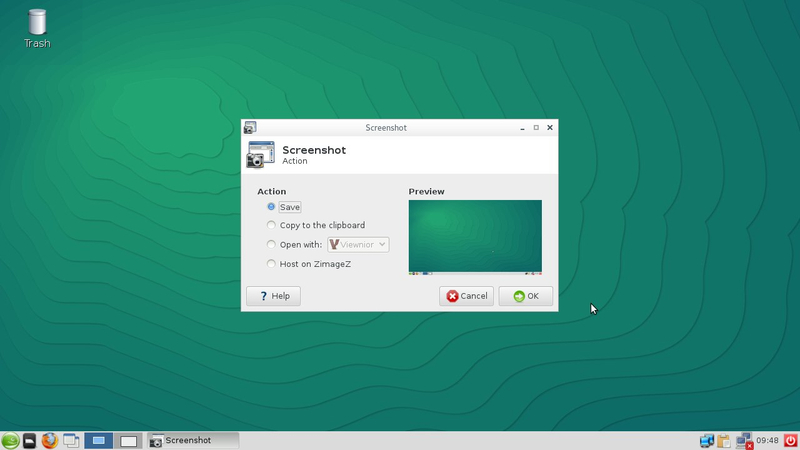 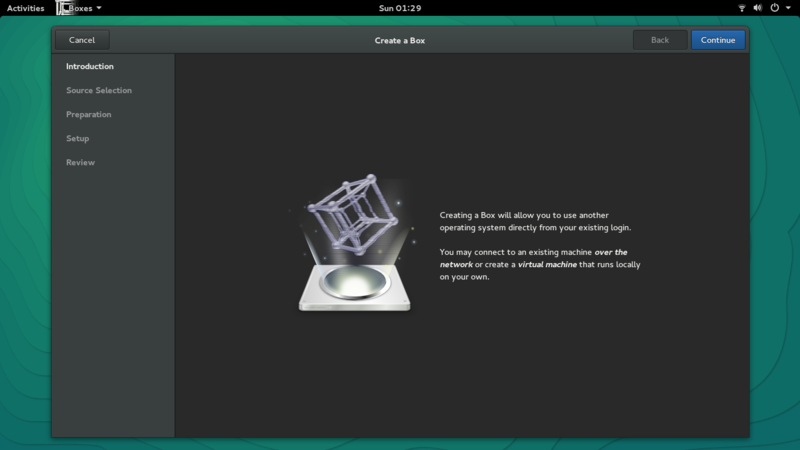 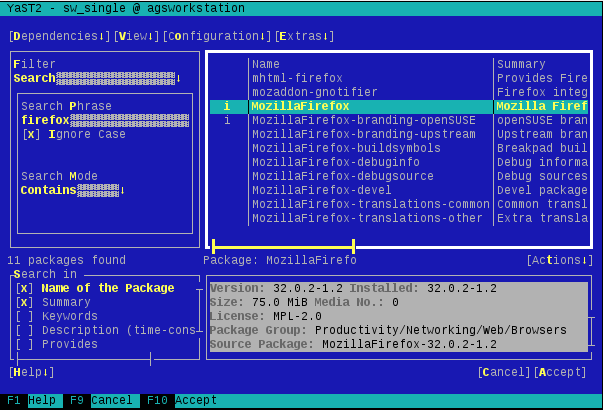 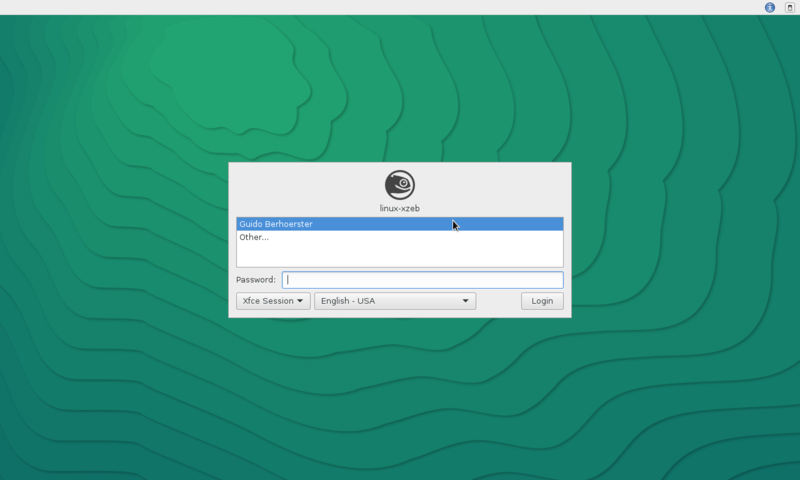 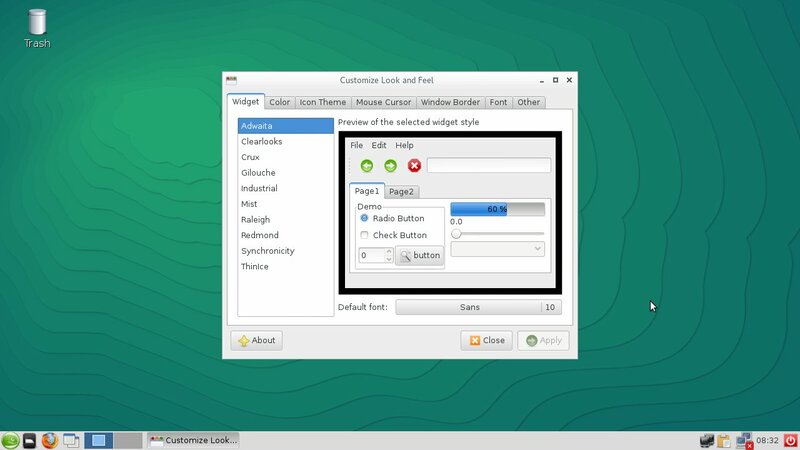 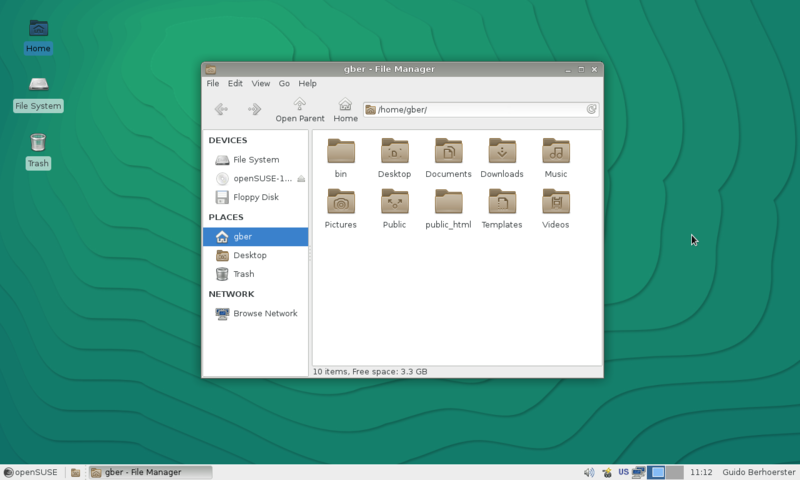 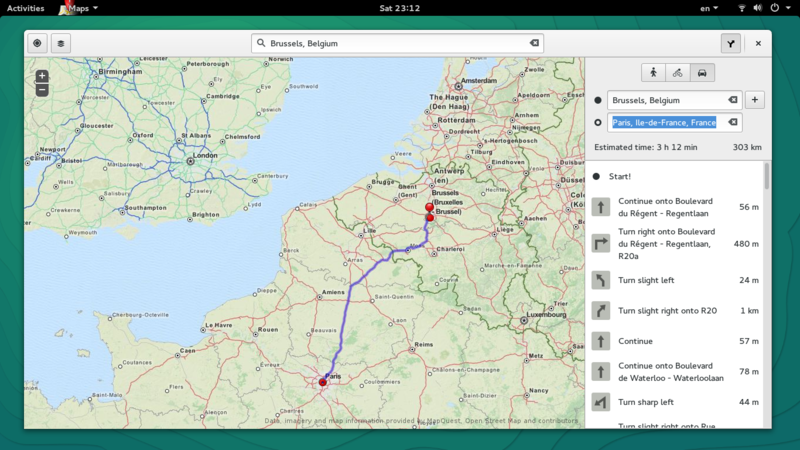 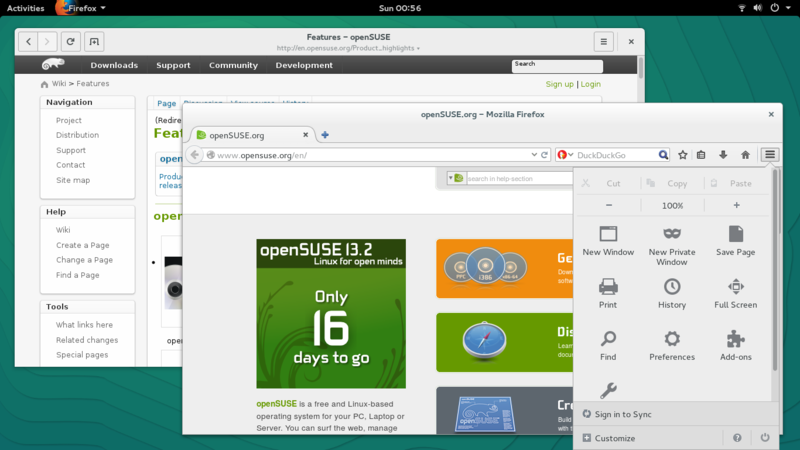 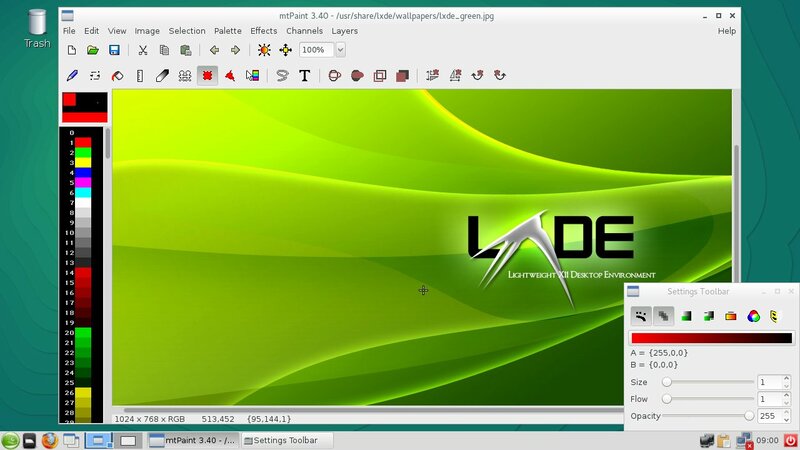 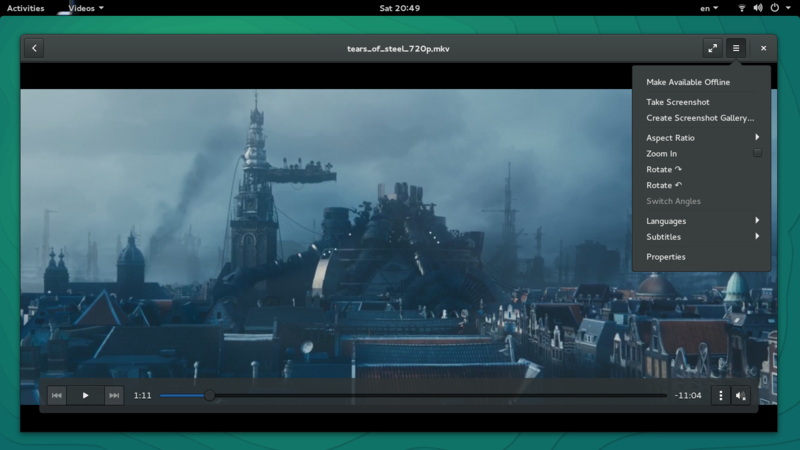 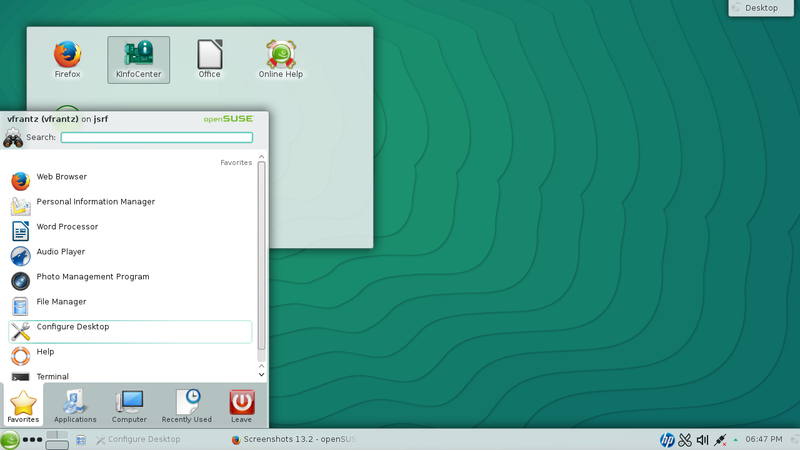 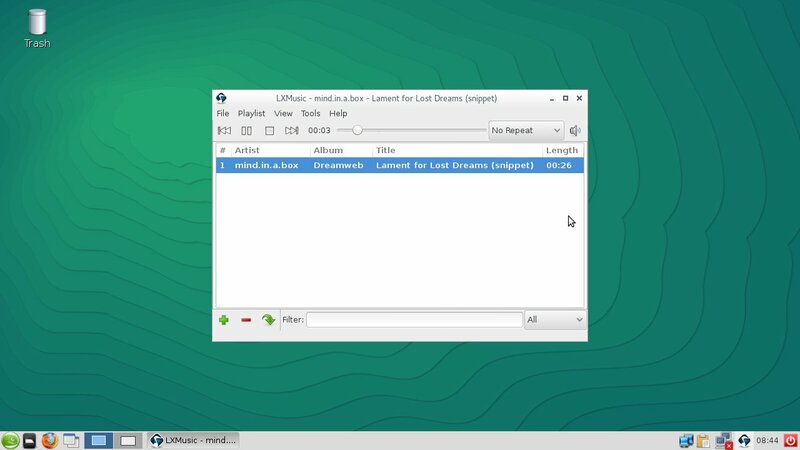 This allows viewers to get a representative picture of openSUSE. 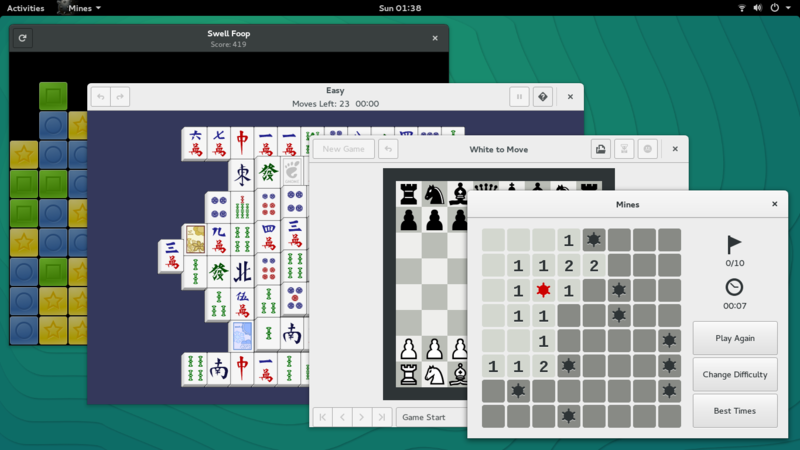 Don't overload the screen with windows: 2-3 is really a lot already. 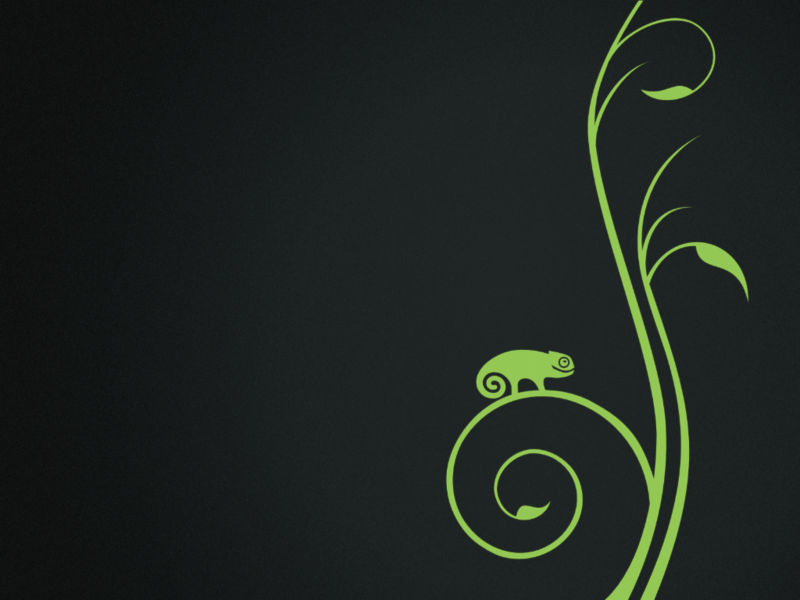 Don't let it get too cluttered! 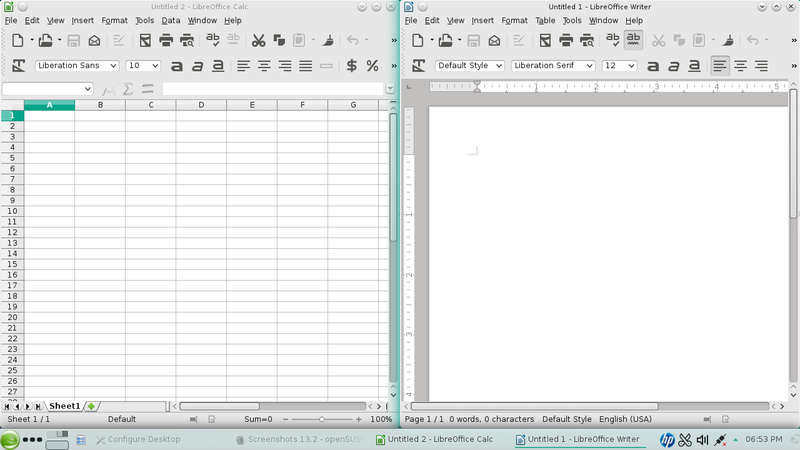 Less is more and all that. 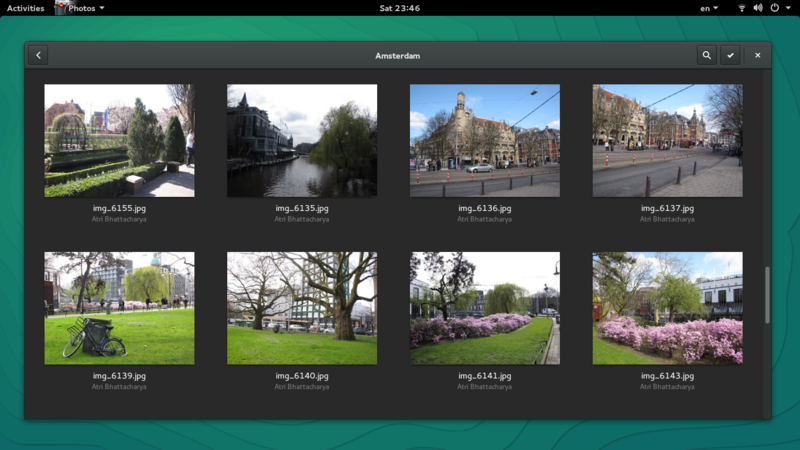 Once you have updated the screenshot, remove the "12.3" in the title. 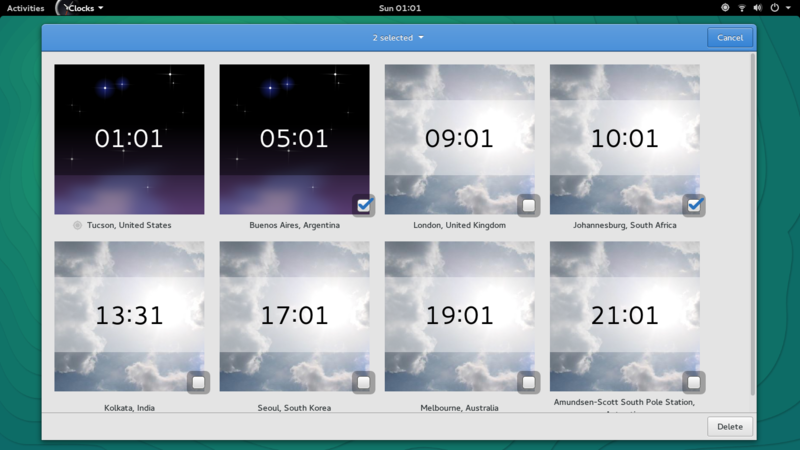 Below is a shortened list of screenshots we had for 12.3, some for 13.1. Taking the same or similar shots for 13.2 would already be a great help. 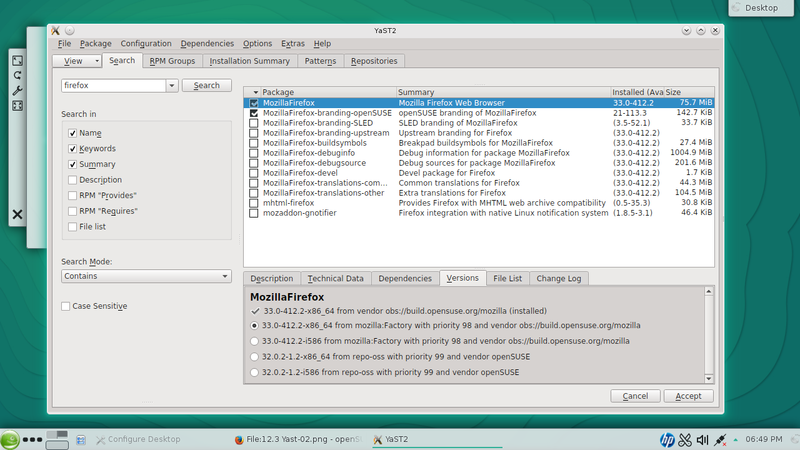 But more is helpful as long as it does not get repetitive or excessive. 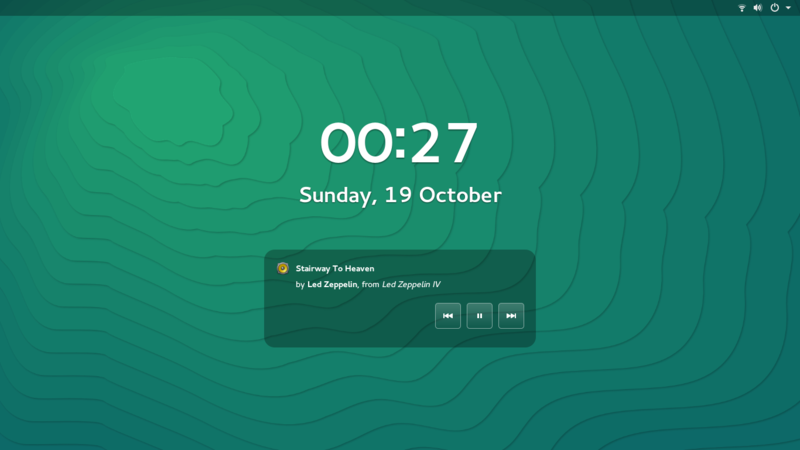 This page was last modified on 5 October 2018, at 20:42.